Neumactil is based on leading edge technologies. In a controlled study of 30 asthmatic children and young adults, results were 100% positive with daily use with no side effects. Study available upon request. 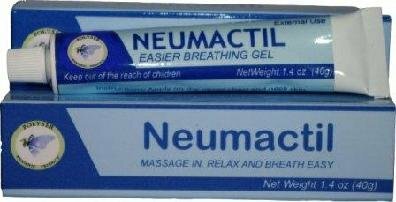 Neumactil is very easy to use and safe for daily use. We recommend using Periactil simultaneously for additional strengthen. Manufacturer: Polimeros y Servicios S.A. Publisher: Polimeros y Servicios S.A. Studio: Polimeros y Servicios S.A. If you have any questions about this product by Med-Actil LLC, contact us by completing and submitting the form below. If you are looking for a specif part number, please include it with your message.